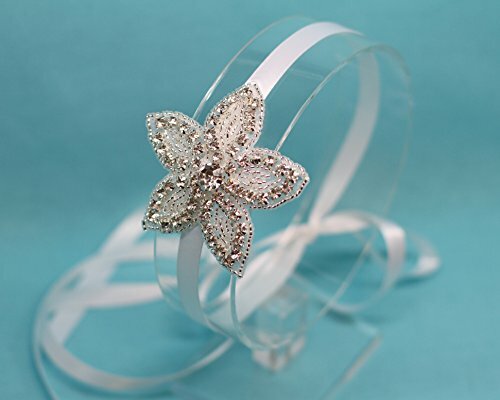 The Flower Girl Headpiece is a beautiful and sparkly headband made with a 3" flower beaded with clear beads and sparkly high quality Crystal Rhinestones. It is attached to 3/8" double face satin ribbon, with several colors to select from! This is an amazing photography prop. It would be the perfect accessory for Prom or a beautiful headpiece for a wedding for the flower girl, bridesmaids or the bride. Your headband will be packaged with care in a box to ensure it will arrive to you in perfect condition for your special occasion.